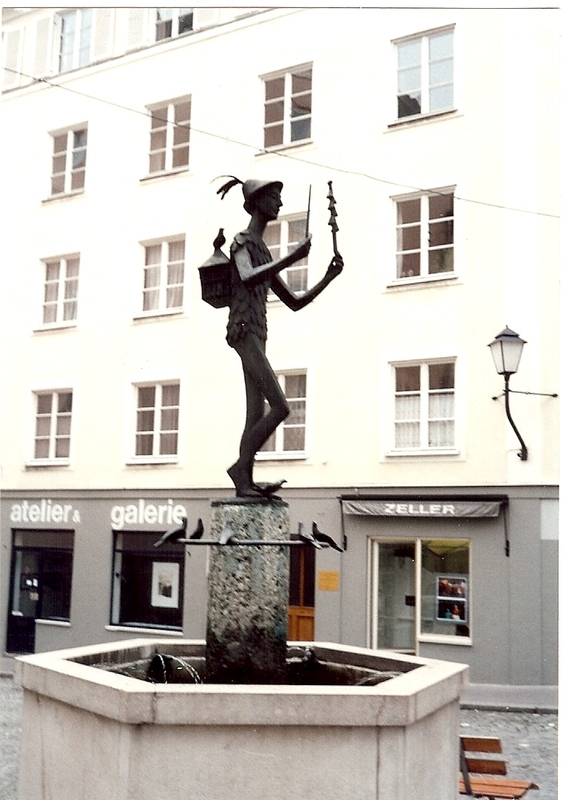 This attractive bronze feature by Austrian -Hilde Heger ( 1899-1998) was installed in the Papageno Square, Salzburg in 1960. Also, identified as ‘The Magic Flute’ from Mozart’s Opera. The illustration was taken on 12th September 1992.